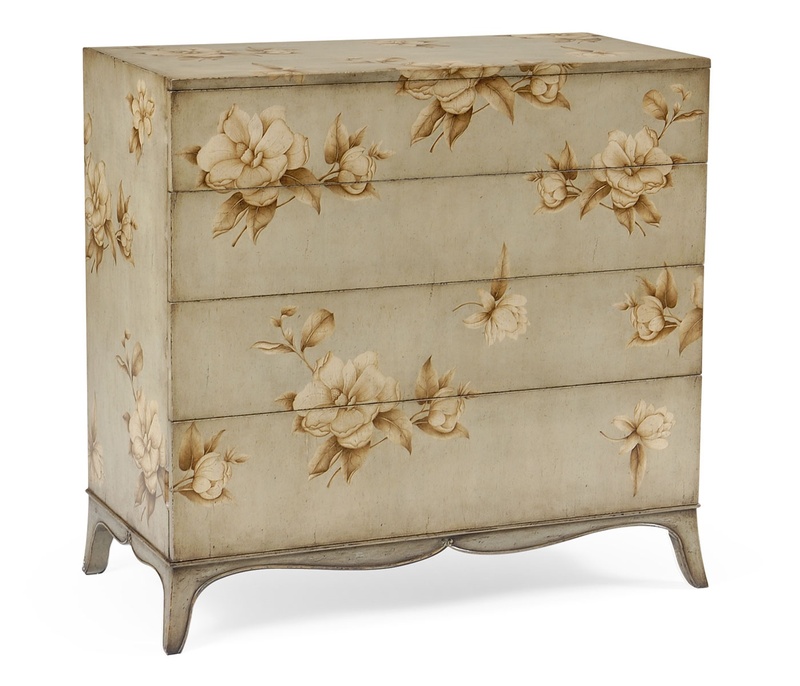 When functionality meets French elegance, it results in the pretty Floral Painted Grey Chest Of Drawers. Visually appealing and effortless, the Shabby Chic Chest of Drawers is sure to garner admiration from your family and friends. Fashioned with French and Shabby Chic styles, the stylish Painted Chest of Drawers will add a dash of grandeur to any of the room it is placed in. Distressed Chest features 4 graduated Drawers with large open floral decoration and the finger holes to the sides, serpentine rail and sweeping legs. 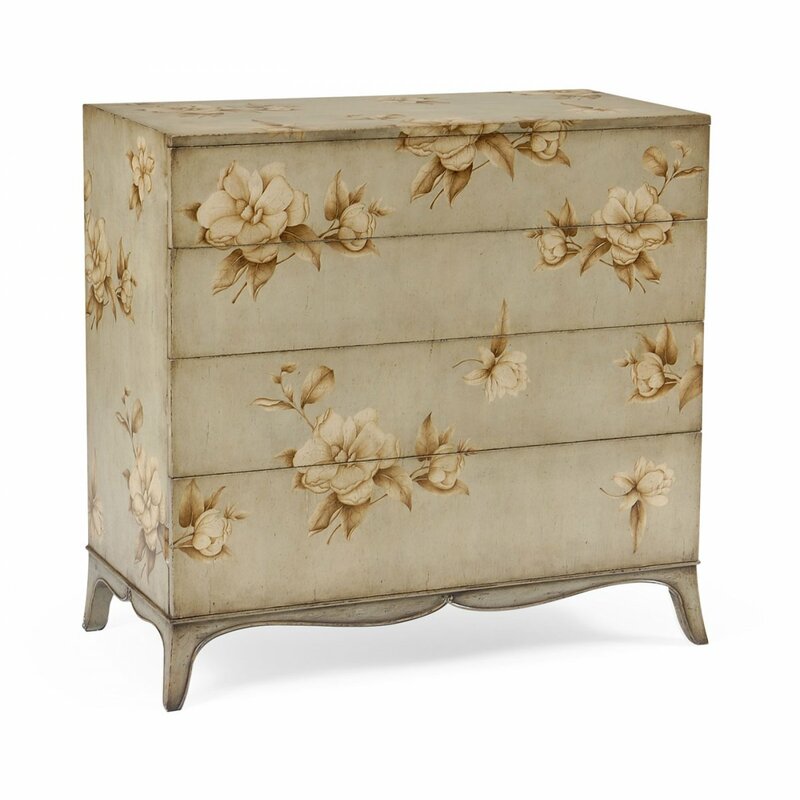 The Floral Chest of Drawers will add an element of elegance to your room. Bring home the Jonathan Charles Bedroom Chest Of Drawers and experience its beauty.